Ambitious photographers have more sophisticated technology at their disposal now than ever before, but there is one tool that has been missing: a dedicated digital asset manager and RAW editor with layers. Until now, that is. You can get one or two of these features in some places, but ACDSee Photo Studio Ultimate 2019 is the first package to offer all of these vital features in one place. Enthusiast photographers have either had to make do with subpar budget software or overpay for software packages with only limited appeal to them. But ACDSee Photo Studio will hit that sweet spot, providing options to suit each individual’s specific requirements, including Standard, Professional, and ACDSee’s crown jewel, Ultimate. Billed as the world’s first digital asset manager and RAW editor with layers, ACDSee Photo Studio Ultimate 2019 should meet all the graphic design and photo editing needs of professional and enthusiast photographers. 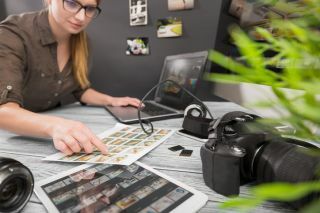 Already getting lots of attention for its organizational capabilities, photo editing power, and performance-based adjustment layers, this software makes your post-production work more efficient and produces wholly professional results. Organizing has never been as personal as it is now. ACDSee Photo Studio Ultimate 2019’s flagship feature is its smart Face Detection & Facial Recognition tool. It will find the humans in your photographs so that you can name the individuals for quick searching and isolating. ACDSee will immediately learn which names to put to which faces, so you will never lose grandpa again! This feature will save hours of tedious manual skimming and cataloguing. It helps you keep photos distinguished by client, family member, or person of interest. The Facial Recognition tool will help event photographers in particular, especially wedding photographers who need to scour through hundreds of images for numerous clients, with frequent challenging deadlines. In addition, ACDSee Photo Studio Ultimate 2019 features flexible colour control, tools expediting your DAM productivity, more ways to non-destructively target specific areas of your image than ever before, and more. Photo Studio Ultimate makes it easy to push boundaries and unlock your creative potential. Photo Studio Ultimate features all the tools you expect to find in a professional photo editing software package. You can not only create your own presets, but also export and share your presets with others, as well as import presets others have made and shared that you particularly like. Black & White mode features increased custom control over previous versions, with more precise contrast adjustments, and you can even specify the brightness range your contrast settings will apply to. This also applies to colour images, of course, when you want to bring out specific contrast details in the highlighted or shadowed parts of your image. You can also colour-grade your images with ease, by importing and applying LUTs as colourful Edit mode filters. The Develop mode has already received plenty of plaudits, including from our friends over on TechRadar, where you can create, edit, and organize brushes, adjustment settings, and more, while the powerful Edit mode can apply those custom tools and settings to individual layers of your image for maximum control. To top it off, you can copy and paste any settings you like to other images. This both speeds up your workflow and helps you develop your individual style in order to stand out as a photographer. Another great feature to help photographers with a large catalogue of images speed up their workflow is the Auto Advance. Once you’ve added metadata to a file, Auto Advance will automatically move you onto the next file, meaning you’ll never have to take your hands off the keyboard, saving you precious time during post-production and making life just that little bit easier. All this added up, ACDSee Photo Studio Ultimate 2019 offers photographers the ultimate creative freedom when it comes to the vital work of editing images to a professional standard. You can find out more about ACDSee Photo Studio Ultimate 2019 on ACDSee’s website, or by visiting its Facebook page, as well as by following @ACDSee on Twitter and @ACDSystems on Instagram.